Room 2 is a double en-suite room. 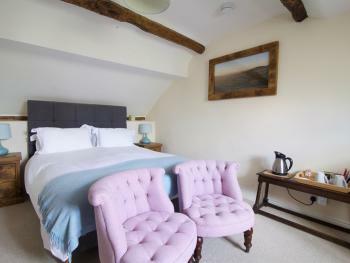 It is situated in the Coach House annexe and is one of our dog friendly rooms. 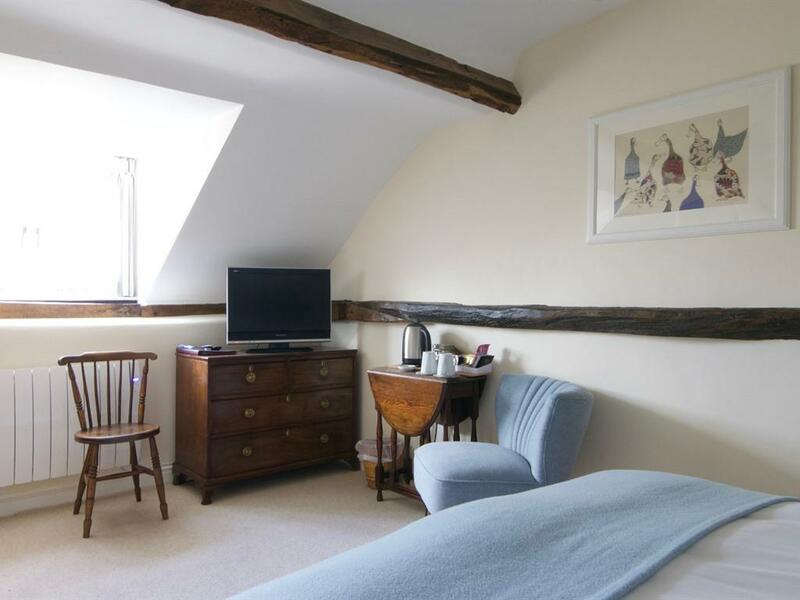 Room 2 shares a private entrance with Room 3 and has its own wooden balcony outside the door. There are views out towards the Long Mynd. 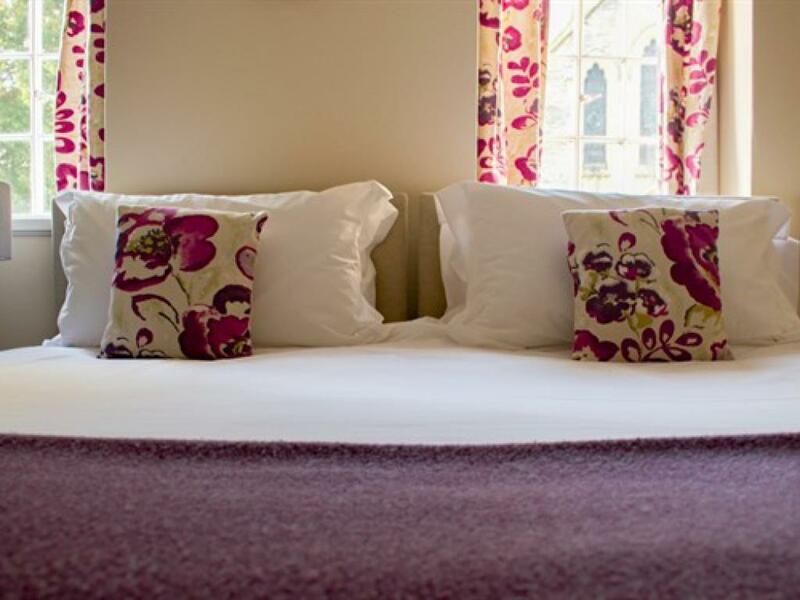 There is a luxurious queen sized bed with a pocket sprung mattress which comes furnished with White Company linen. 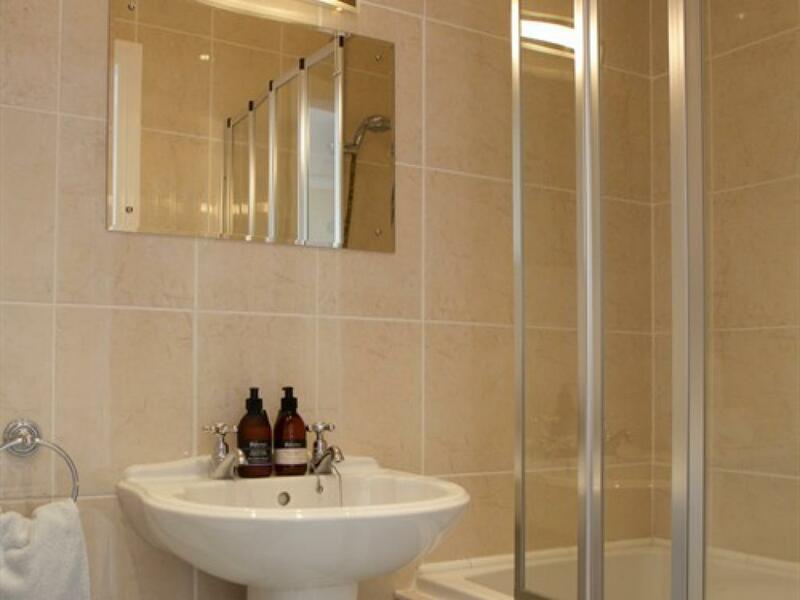 The en-suite shower room comes with The Highland Soap Company organic toiletries. 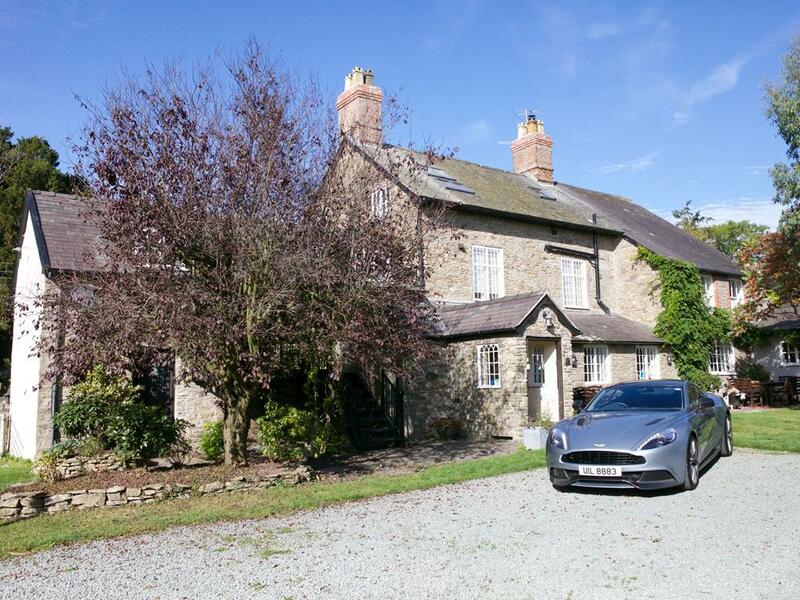 There is a flatscreen TV complete with freeview and the room comes with complimentary tea, coffee and hot chocolate facilities, a hairdryer, free car parking and wi-fi. Room 5 is our double room. 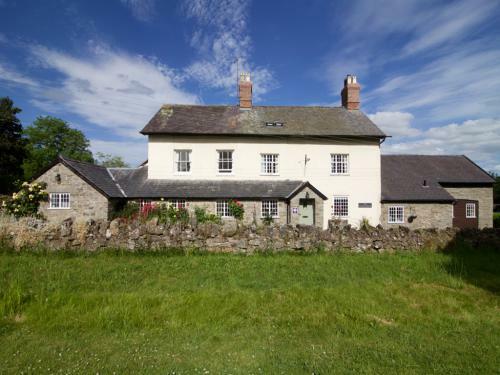 It is situated in the Coach House main building and is not dog friendly. 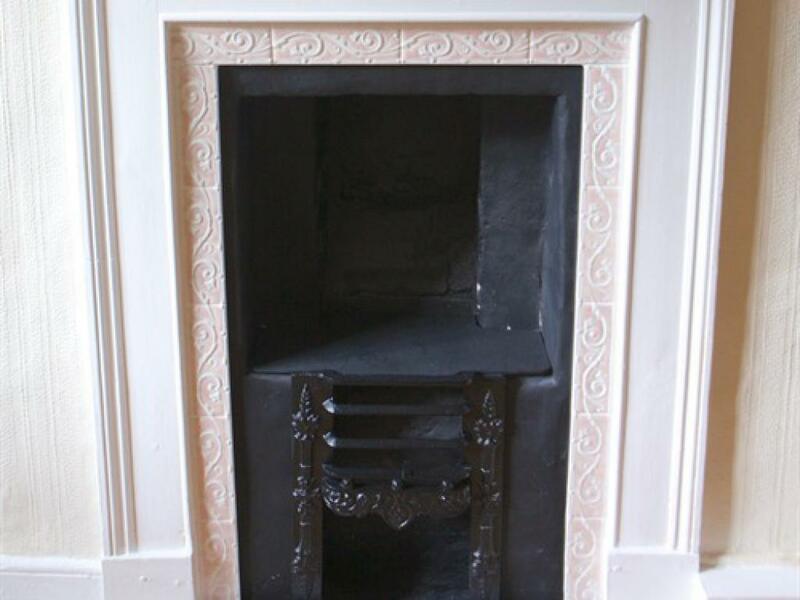 Although its our smallest room it is perfectly formed and comes with a lovely period fireplace. 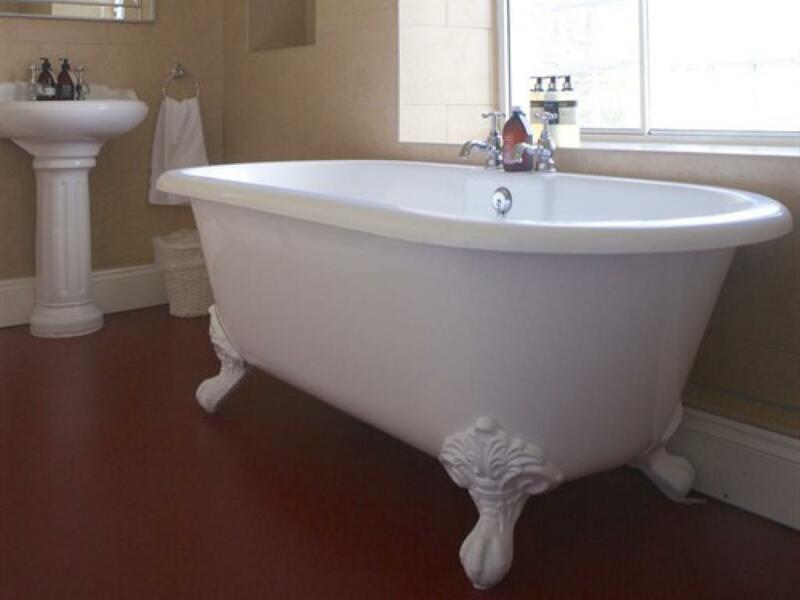 It has a private bathroom, directly opposite which has a huge roll top bath. 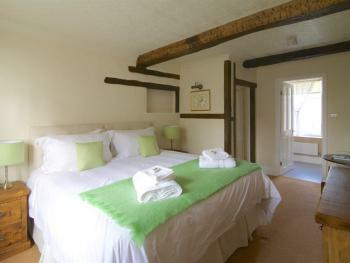 Room 5 comes with a queen sized bed complete with White Company linen. 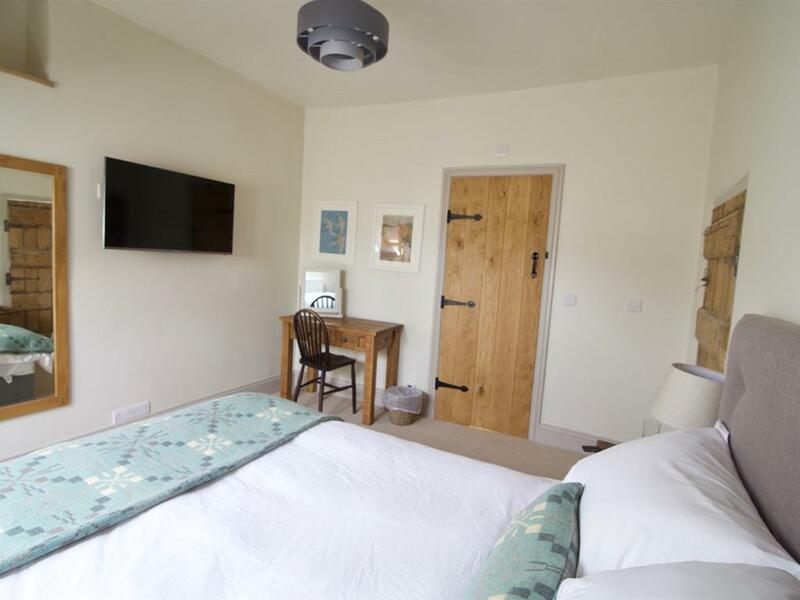 There is a flat screen TV with freeview, complimentary tea, coffee and hot chocolate facilities, free car parking and Wi-fi. Room 3 is a King sized room with en-suite. 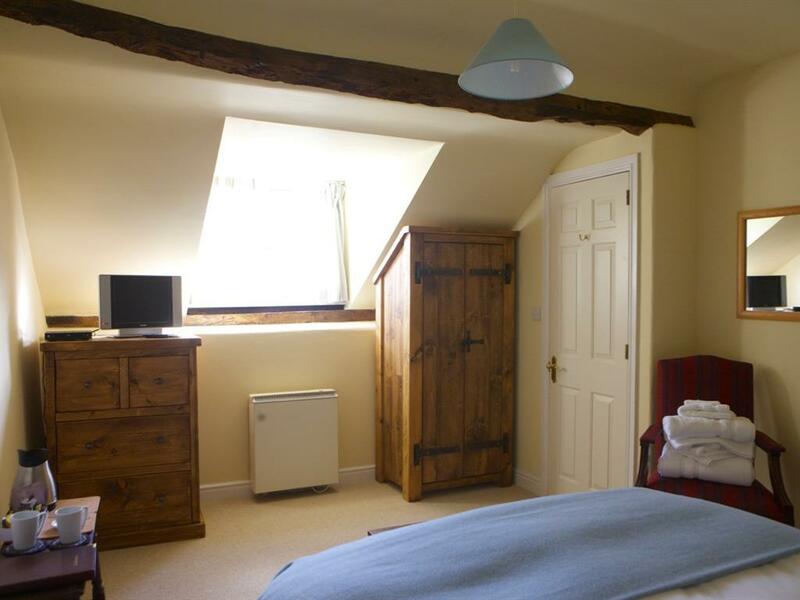 It is situated in the Coach House annexe and is one of our dog friendly rooms. 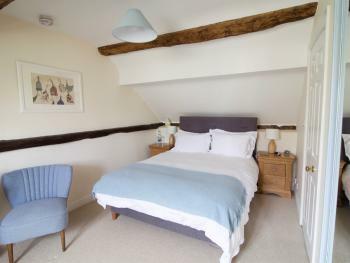 The bed is a King sized double bed which comes complete with White Company linen. 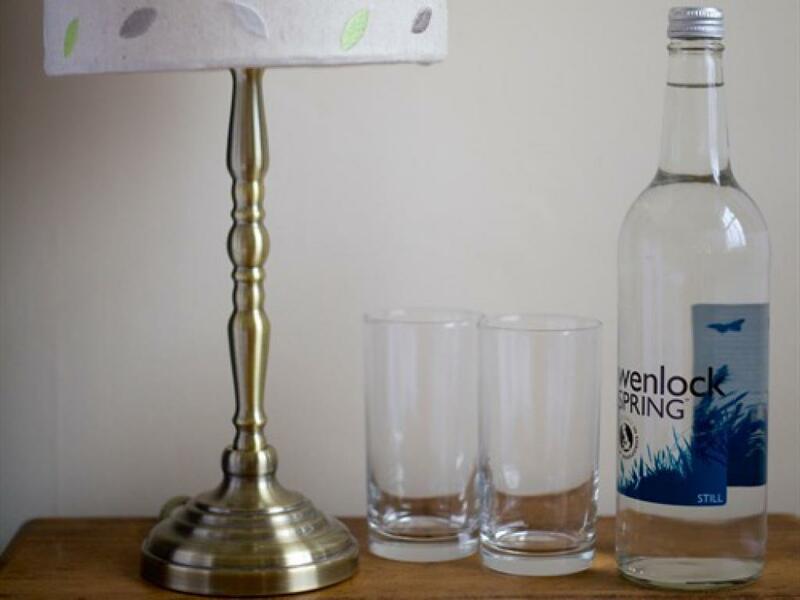 The en-suite is equipped with a shower and features the Highland Soap Company organic toiletries. 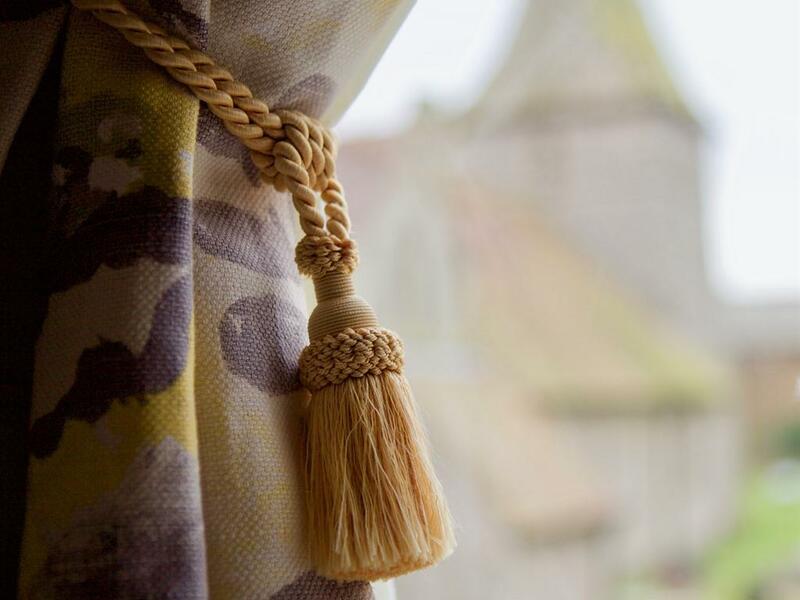 Room 3 enjoys views out over the countryside towards the Long Mynd. The room also comes with complimentary tea, coffee & hot chocolate facilities, a hairdryer, complimentary WI-fi and free car parking. Room 4 is our King en-suite room. It is in the main house. It is not dog friendly. 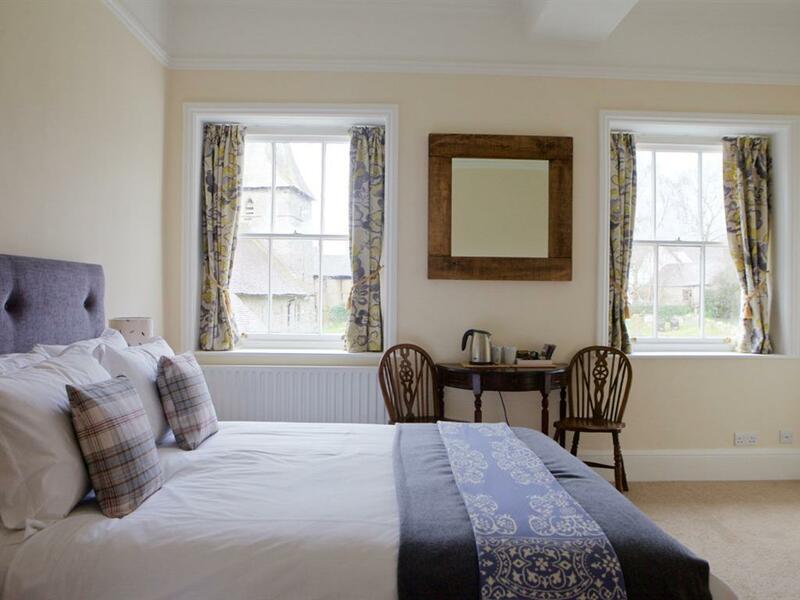 It has a luxurious King sized bed with a pocket sprung mattress and comes with White Company linen. 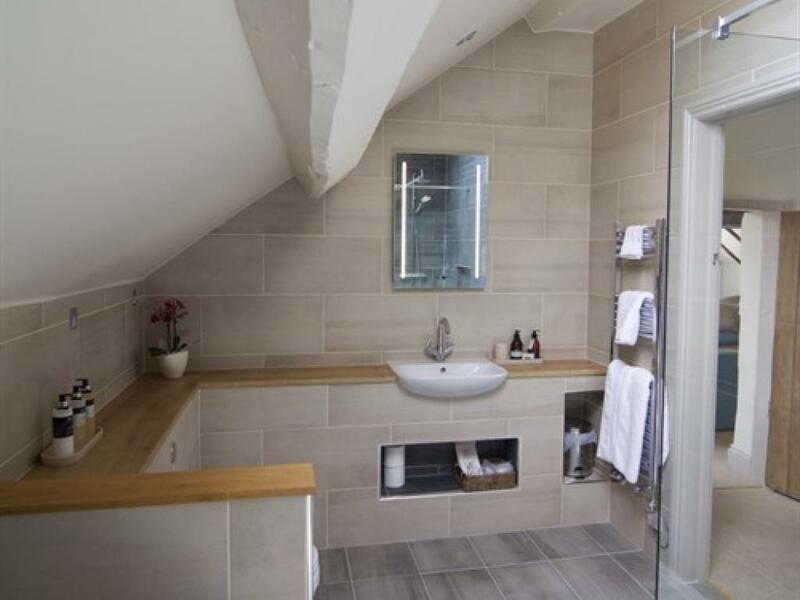 Room 4 has a modern tiled bathroom with a 3/4 sized bath and a shower. The bathroom features the Highland Soap Company organic toiletries. 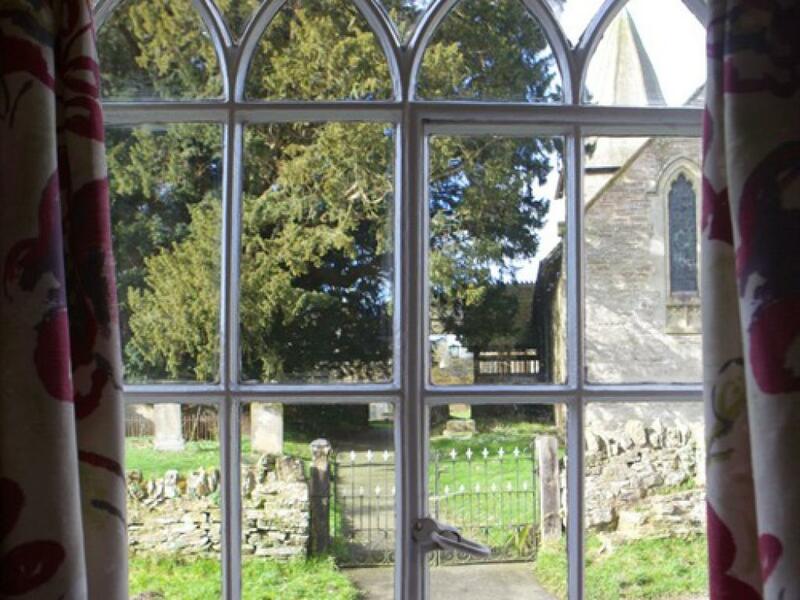 It enjoys views over All Saints Church yard and the village from its two large windows which make the room feel very light and airy. Room 4 enjoys very high ceilings. There is a 32" wall mounted, flatscreen Smart TV complete with complimentary Netflix account. 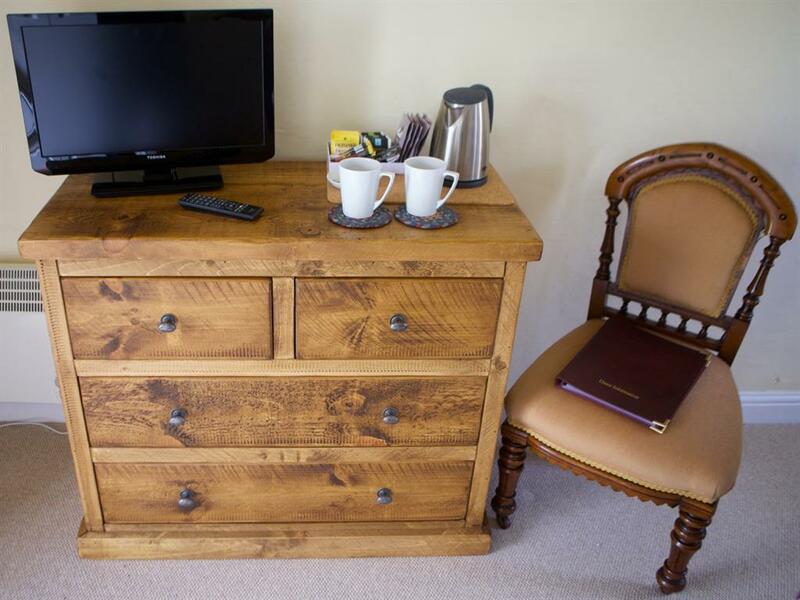 The room also comes with complimentary tea, coffee & hot chocolate facilities, a hairdryer, complimentary WI-fi and free car parking. 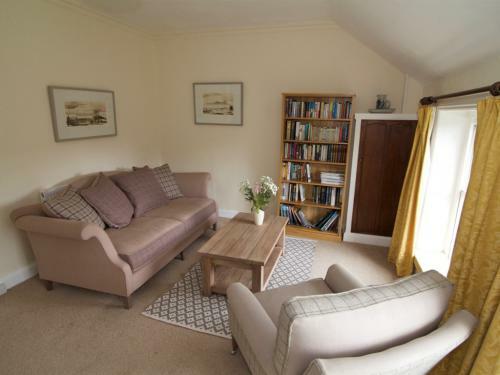 There is also a large inset wardrobe and a writing table and chairs in the room. Room 1 is our ground floor Superking or twin room. It is in the annexe. 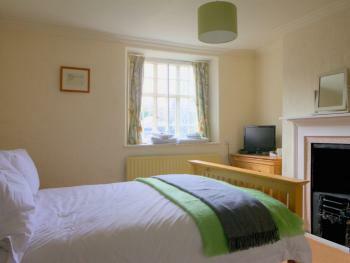 It is one of our dog friendly rooms. 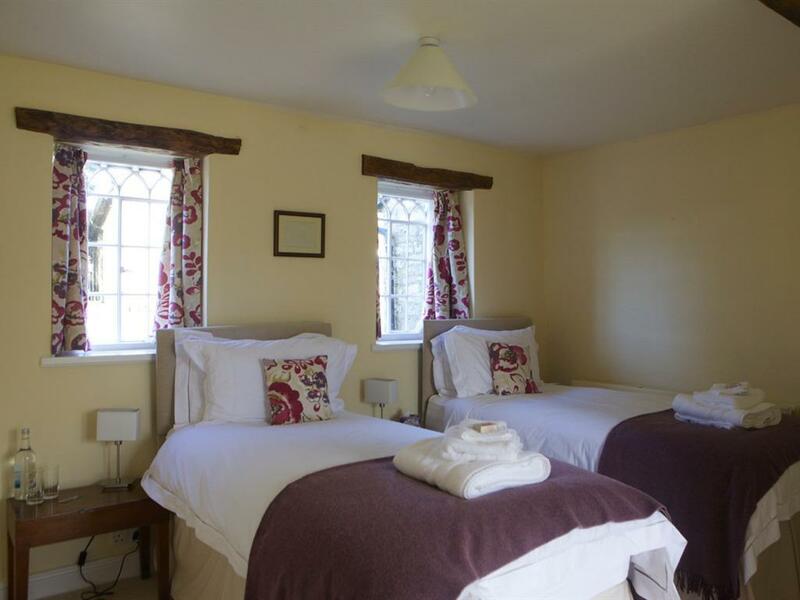 It has a very large, luxurious Superking bed with a pocket sprung mattress but can also be made up as a twin room. 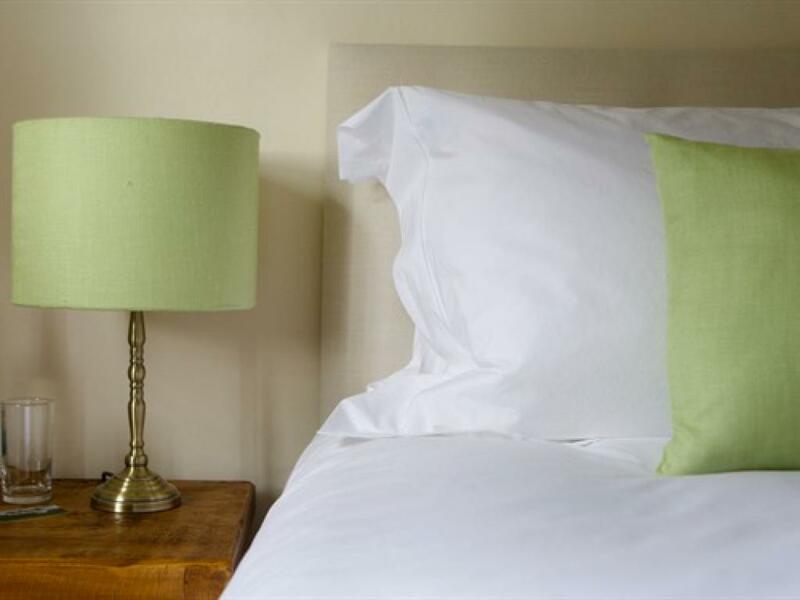 Beds feature White Company linen. Room 1 has an en-suite with shower. The bathroom features the Highland Soap Company organic toiletries. 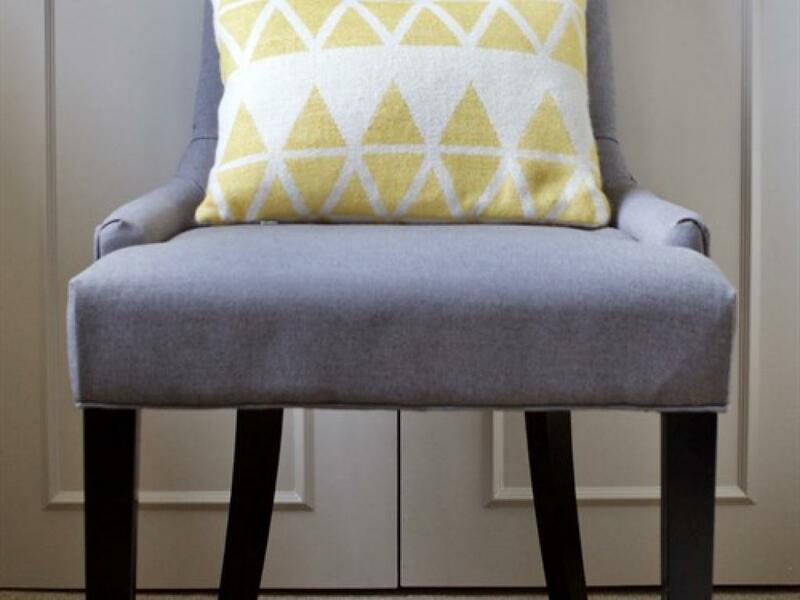 Room 1 has its own private lockable entrance and is our only room situated on the ground floor so may be suitable for those who are unable to climb stairs. 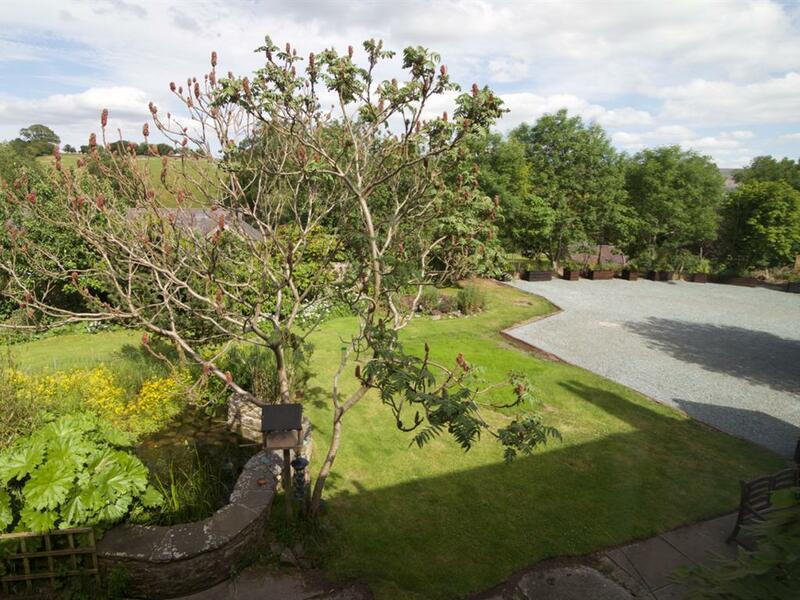 It enjoys views out over All Saints Church yard from the front. There is a flatscreen TV with freeview. 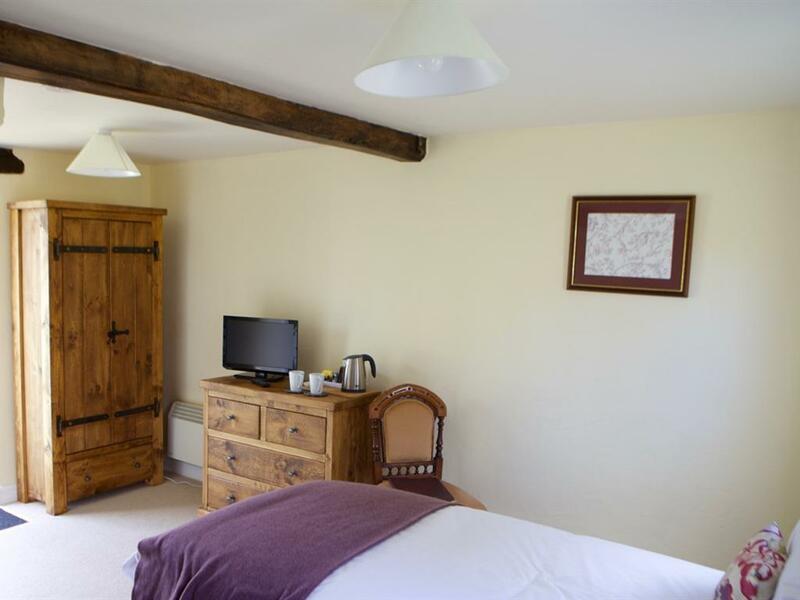 The room also comes with complimentary tea, coffee & hot chocolate facilities, a hairdryer, complimentary WI-fi and free car parking. Room 6 is our Deluxe Superking or twin room. It is in the main house. It is not dog friendly. 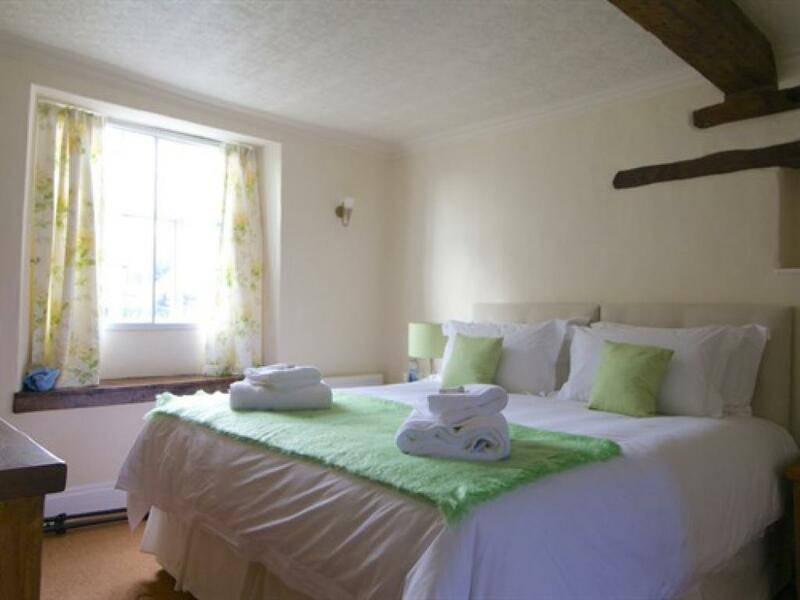 It has a very large, luxurious Superking bed with a pocket sprung mattress but can also be made up as a twin room. 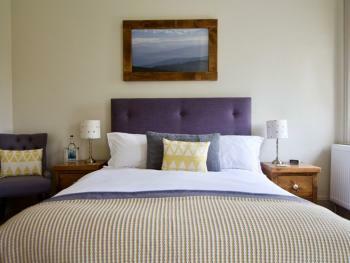 Beds feature White Company linen. 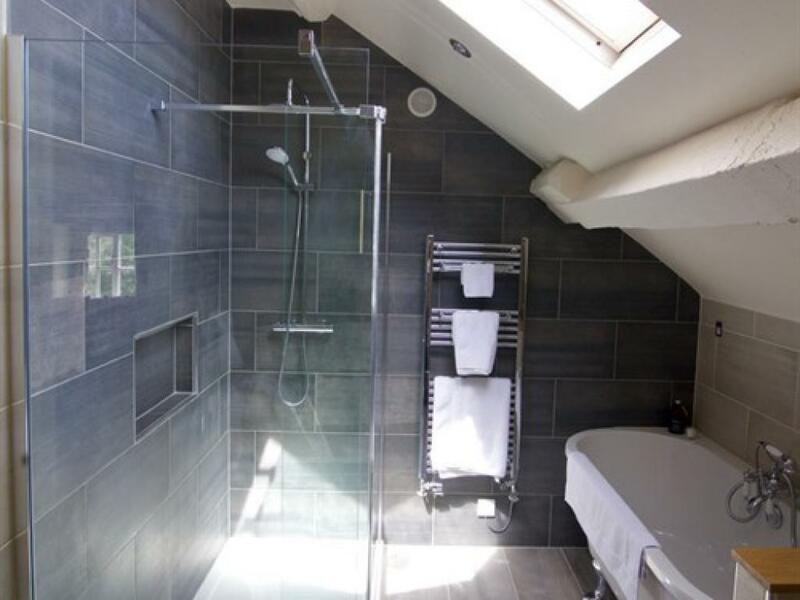 Room 6 has a large, modern tiled bathroom with a generously sized shower. The bathroom features the Highland Soap Company organic toiletries. 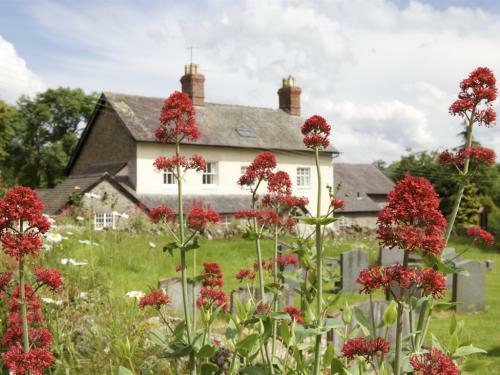 It enjoys views out over All Saints Church yard from the from and out towards the Long Mynd from the year. 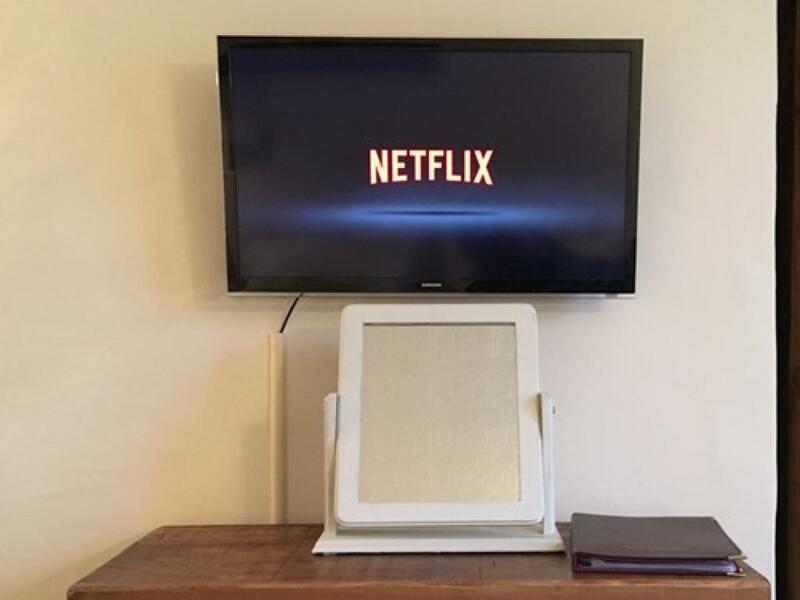 There is a 32" wall mounted, flatscreen Smart TV complete with complimentary Netflix account. 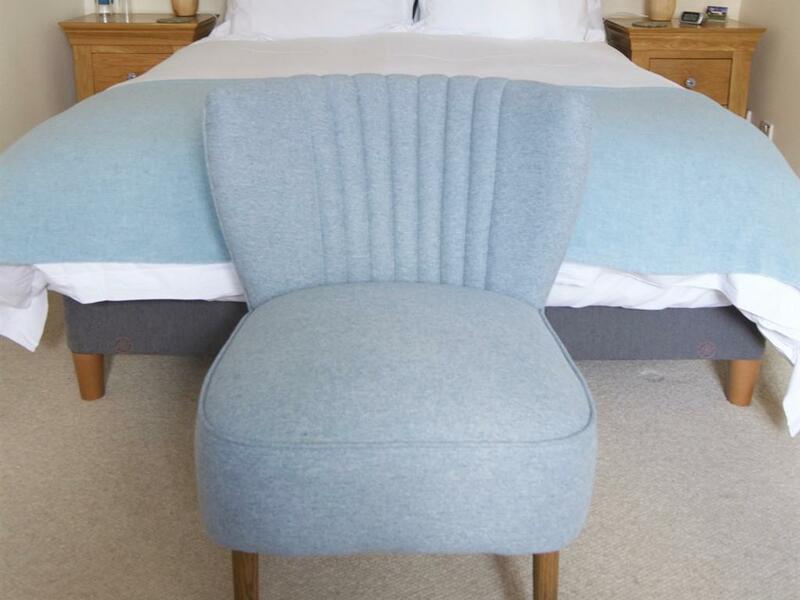 The room also comes with complimentary tea, coffee & hot chocolate facilities, a hairdryer, complimentary WI-fi and free car parking. Room Seven is our new luxury loft suite. 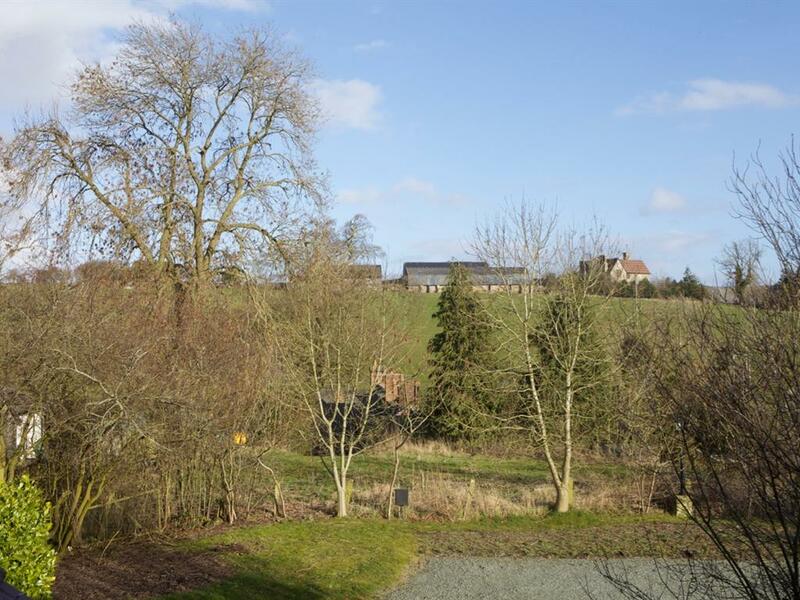 It has incredible views over the Shropshire countryside from its third floor location. 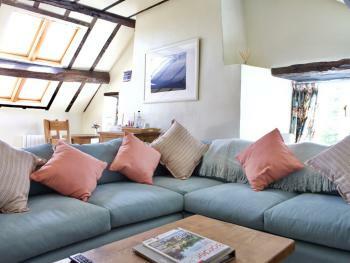 It has a massive living room with large L shaped sofa, 42" flat screen HD SMART TV, its own wireless internet. 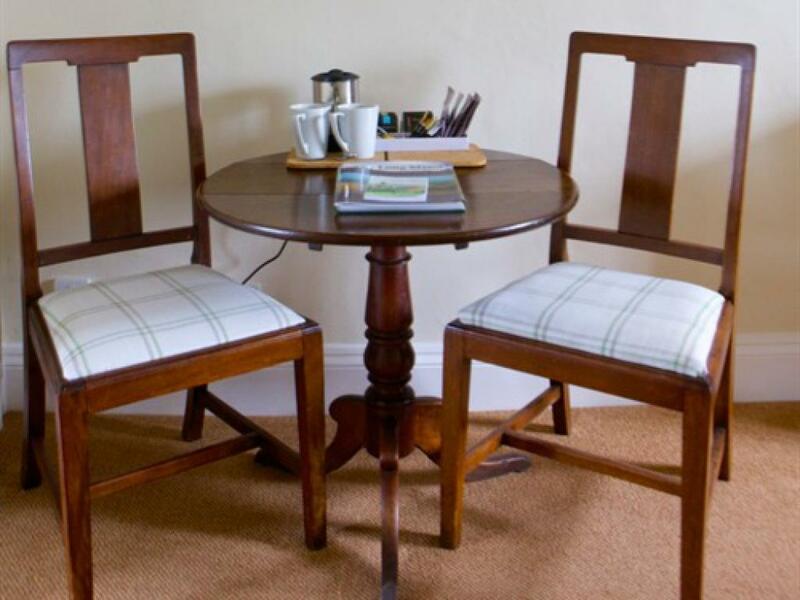 There is also a dining table available and a fridge in the room. 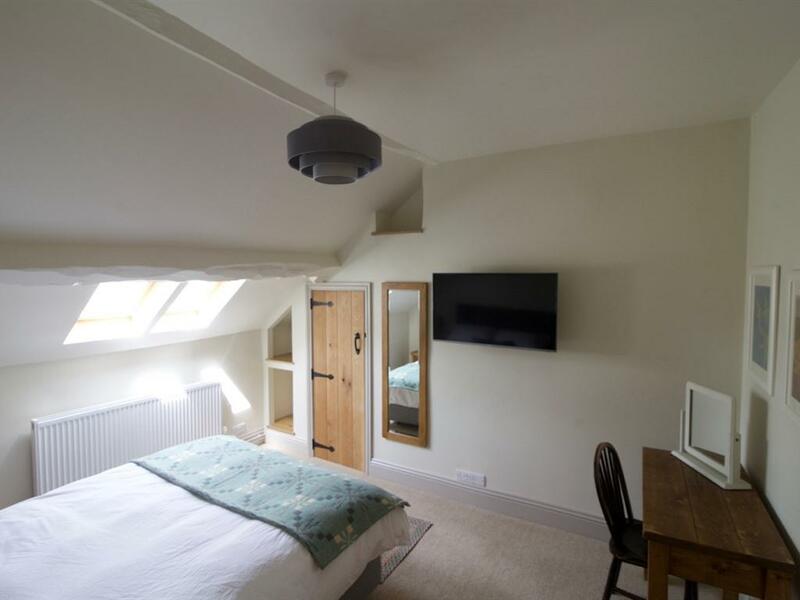 The bedroom has a king size bed with pocket sprung mattress and there is a brand new luxury bathroom suite with separate bath and shower. The Coach House is a modern country Inn. 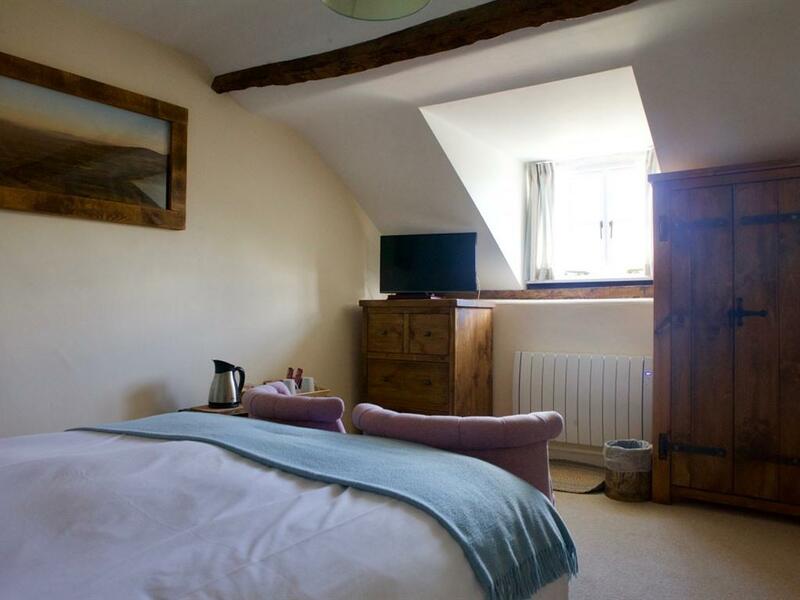 We hold an AA 4 Star rating for guest accommodation with a Gold Award for exceptional quality. We have also held the Breakfast Award for 4 successive years since we opened. We are situated in the Shropshire Hills Area of Outstanding Natural Beauty and our rural village of Norbury is a conservation village. 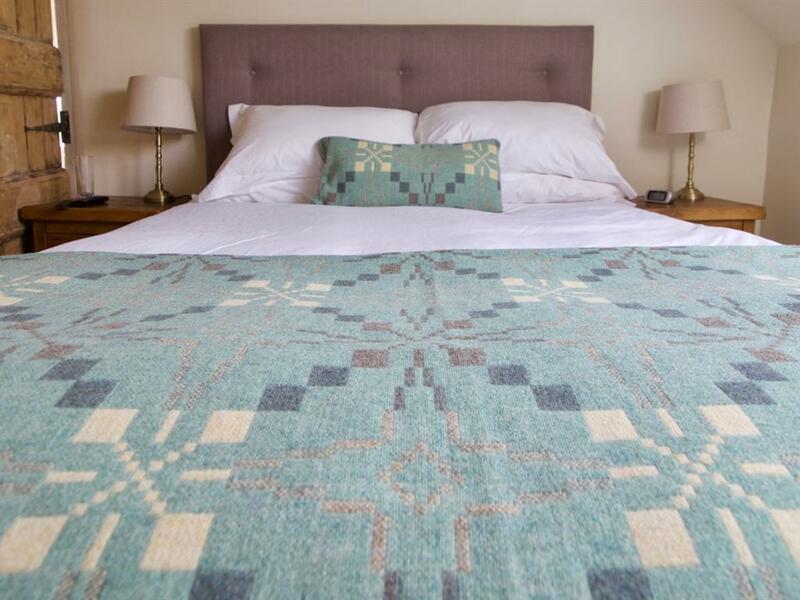 We are just 4 miles from Bishops Castle and are 17 miles from the bustling market towns of Ludlow and Shrewsbury. The Coach House is nestled in the Upper Only Valley between the Stiperstones ridge and the Long Mynd. The area is a veritable playground for walkers, cyclists, mountain bikers and photographers. 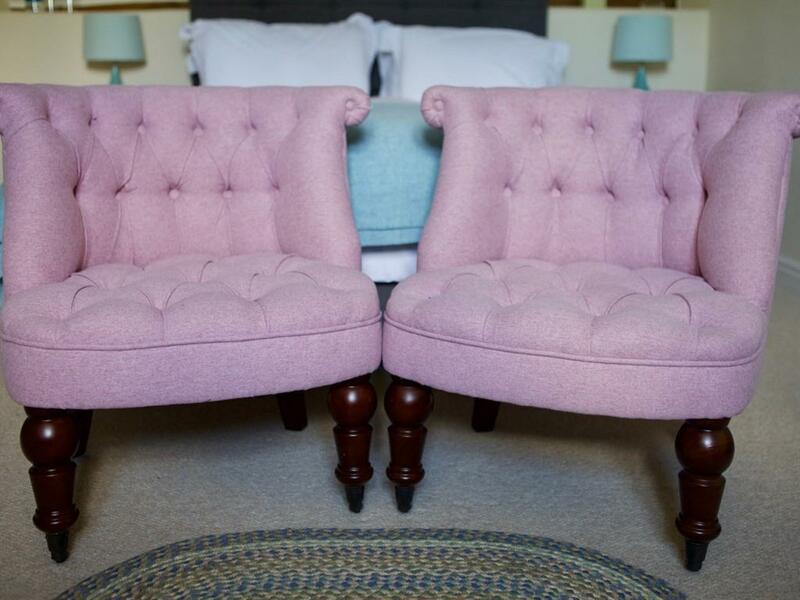 We have 6 well appointed rooms, 5 of which are en-suite and one has a private bathroom with a roll top bath. Our beds have pocket sprung mattresses and luxurious White Company bedding. All rooms have flat screen TV’s, tea and coffee making facilities and organic toiletries. We have free car parking and complimentary wi-fi. The three bedrooms in our annex are dog friendly whilst those in the main house are not. We have several communal areas which you are welcome to relax in during the day. 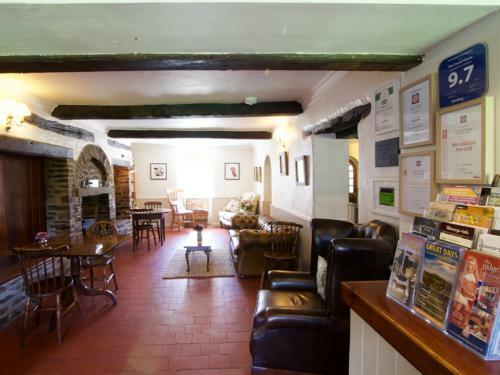 The Coach House is fully licensed and has a characterful 18th century lounge bar with 2 wood burning stoves. 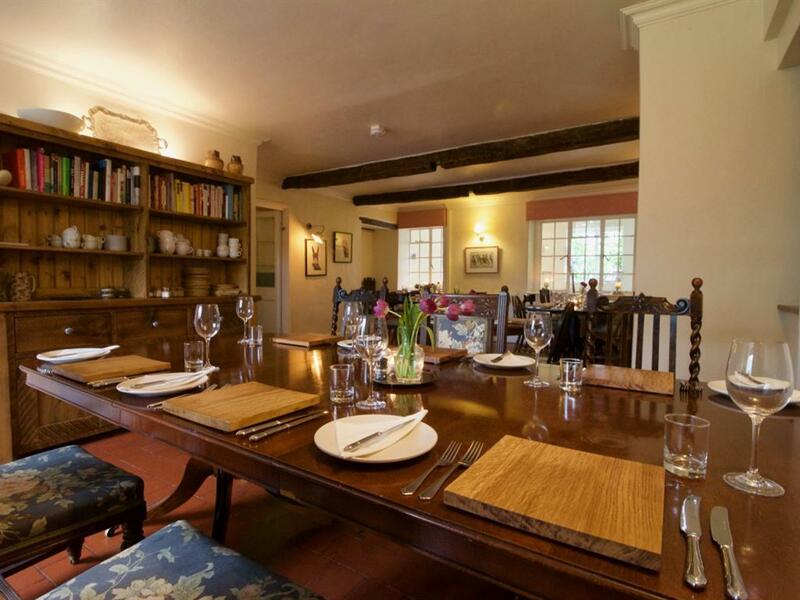 Food is our passion and we provide a lavish Shropshire breakfast for all guests. We can also provide packed lunches on request. 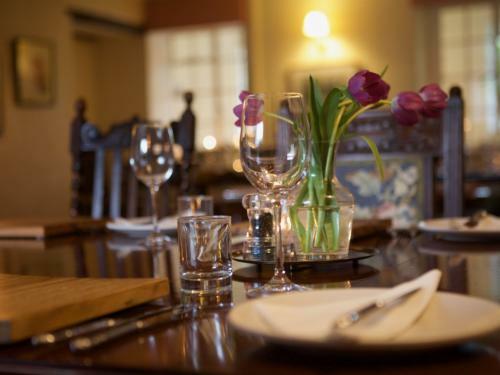 Our restaurant is open to everybody on Wednesday, Thursday, Friday and Saturday evening and closed for the rest of the week. Bookings are essential. We make our own sourdough bread daily and use seasonal ingredients with a focus on local artisanal products where possible. The Coach House is owned and run by Sean & Lexi Morris. Food is provided by Chef Harry Bullock. Head south on Church St/B4385 towards Kerry Ln - Turn left onto Love Ln/A488 - Turn right onto B4383 - Turn left onto A489 - Turn right - Turn left - Turn right- The Coach House will be on the left. Take the A5 towards Shrewsbury to the A49 - turn left in the direction of Craven Arms / Ludlow - after 1.7 miles turn right towards Exfords Green - follow to the end then turn right. Take the next left and drive 0.7 miles onto Long Lane - continue for 0.9 miles - turn left onto Newhouse Lane in the direction of Longden Common - drive for 9 miles through Longden Common, Pulverbatch, Ratlinghope, Wentnor - turn right into Norbury. All roads into Norbury end up at the church , we are opposite. drive North on the A49 through Craven Arms in the direction of Shrewsbury - turn left onto the A489 for 7.6 miles- ignore the left hand turn to Bishops Castle and instead take the very next right hand turn towards Norbury/ Wentnor / Pulverbatch - drive 1.9 miles and take the next left into Norbury. All roads into Norbury end up at the church. The Coach House is opposite the church.